Hey friends! I'm exciting to (finally) be bringing you another series on my YouTube channel. 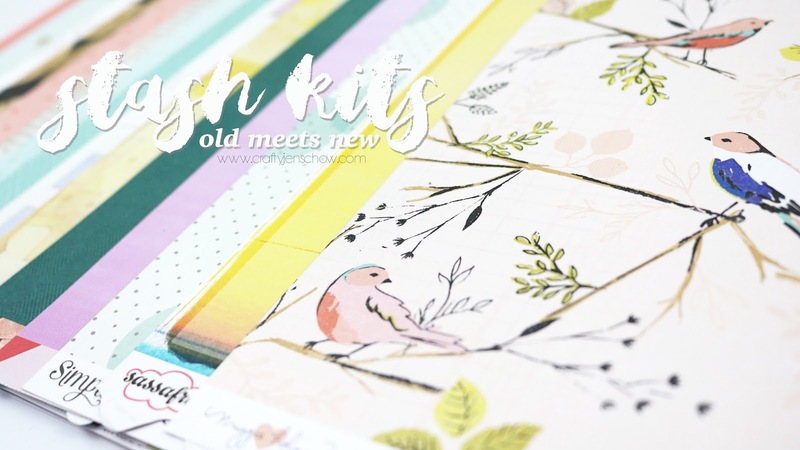 I'm bringing back an old favorite - my Old Meets New Stash Kit series. And I'm really excited to work with the kit I created using both old + new products from my stash! In this series I'll show you how I put the kit together (in the video below) and then create a new layout using the kit every Wednesday for 10 weeks, which will be posted here on my blog and on my YouTube channel. I chose a soft color palette but added in some rustic and earthy tones to ensure that I can create Autumn layouts with this kit as well. I started this kit with some peach label stickers and some mini tassels and added to it from there. I used the patterned papers as a guide for color choices, but also included some older items I've been wanting to use. 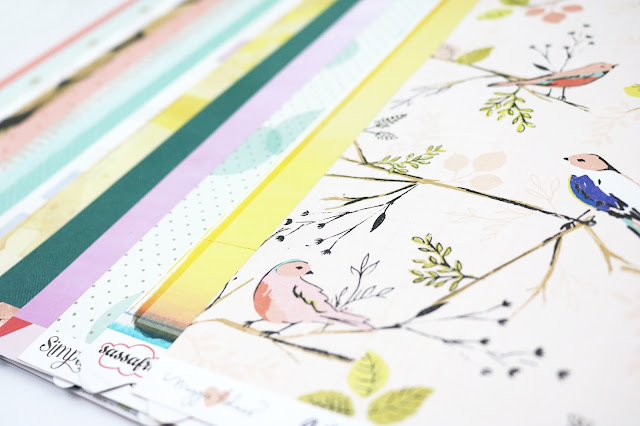 That raindrop washi tape was a last minute addition - isn't it gorgeous?! I usually choose two alphabets, but here I included three. Couldn't help myself. I also included some new Maggie Holmes Gather stickers and some older Maggie Holmes chipboard that I want to get used up. I think it's important to use a mixture of new things that make me excited to create and older products that I still love. 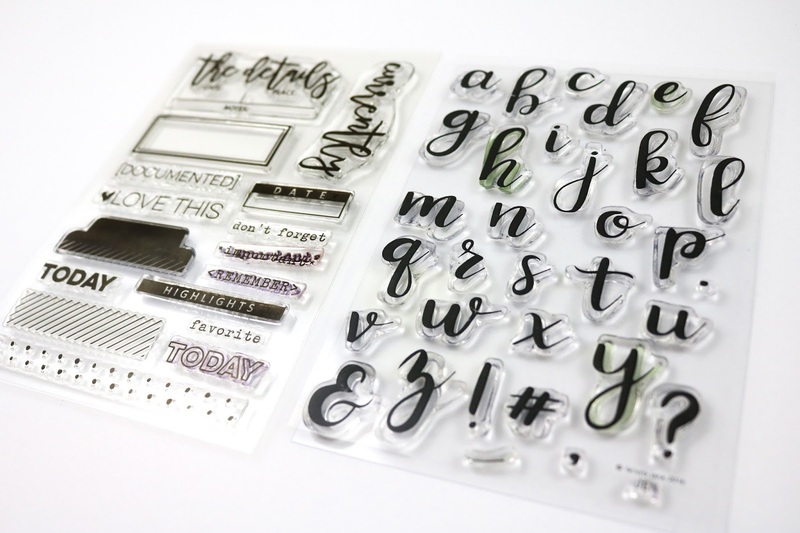 I love stamping, but often don't utilize them enough. 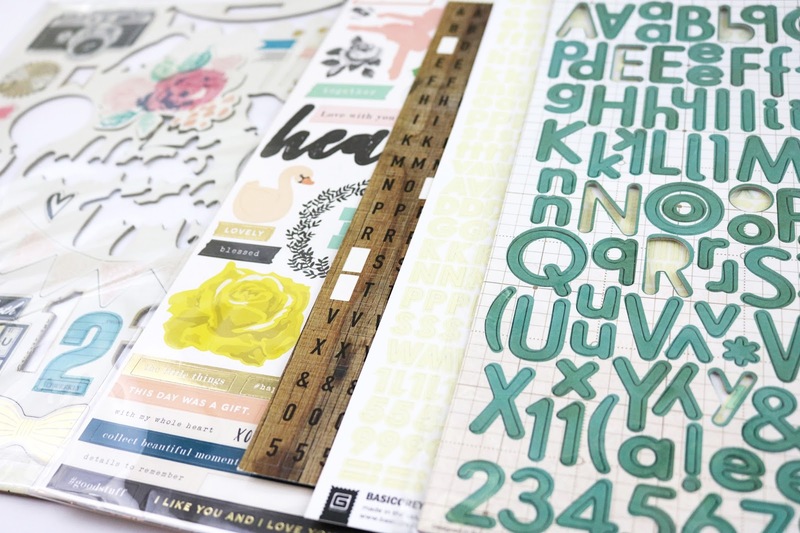 I included two in my kit - a really versatile one from Elle's Studio and a new alphabet that I designed for Felicity Jane. I created a blog post last year when I did my first stash kit series with 10 tips on creating your own kits. I think the information still applies and you can find it here. You can find a video where I put together that kit and go into detail about my choices on my YouTube channel here. 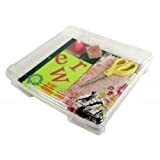 I've linked to all available products below. Please let me know if you have any questions and I'll see you next Wednesday with my first process video using this kit! Gorgeous kit, Jen! I can't wait to see what you create with it! Excited to see the layouts!